Marketing Surveys & Statistical Analysis (MSSA) is a leading market research company in South Africa. Market research is an organised effort to gather information about markets or customers. It is used as an important component of a business strategy. Who is your target market and who are you competing against? Are your customers satisfied with your services? Why do they buy your products? How are they attracted, converted and retained? These are some of the questions the research will answer undertaken by Marketing Surveys and Statistical Analysis. At MSSA, we amongst other research activities, will investigate the buying behaviour of your customers by qualitative and quantitative marketing research techniques. Marketing Surveys & Statistical Analysis will provide you and your company with knowledge and insight about the need for your company brands, service trends and loyalty of your customers. A range of these services are available through Marketing Surveys & Statistical Analysis (MSSA's) StatsAssist package on a subscription basis. Specialised Syndicated studies cover markets on an annual basis and provide cost effective research to MSSA clients. We focus on the agricultural market (farmers), research about the SMME (owners and financial managers) market and Why buy? Food studies. New to the services of MSSA is the research we offer Small Businesses (Entry Level, Exploratory en Traditional research). Marketing Surveys & Statistical Analysis is a member of the South African Marketing Research Association (SAMRA) and all its work meets SAMRA standards. 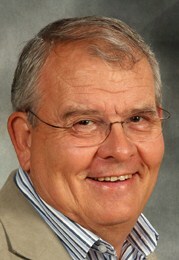 Schalk van Vuuren is a past Chairman of SAMRA and a SAMRA Accredited Researcher (SAR). Schalk is a past editor of the Journal of Marketing Research in South Africa for SAMRA. For latest press release click here.